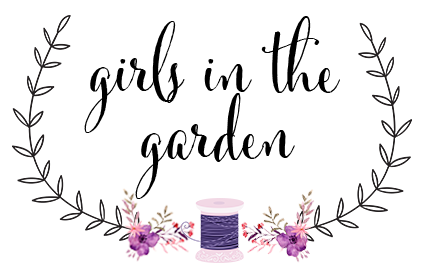 My theme for June is organization and with this is mind I present my IndieSew Team Blogger projects. Yes, two tops because I could not stop making garments with this amazing fabric. First up is the Valencia Tunic , which I thought would be the perfect summer top and I was so right. Let's back up and talk about my theme, organization. The month of June I was gone 12 days of the first 20 days in June. This is quite unusual for me, hubby and I don't travel that much and if we do it is for five days tops. This June is the exception to the normalcy and I am so grateful for the opportunities we had and beautiful country we were able to visit. Montana was the destination for eight days and how I loved seeing Big Sky Country. Montana was a place I visited with my parents but that was a long time ago. I know I didn't appreciate all the views back then as I did on this trip. Now that I am back we are in full wedding mode for a daughter's wedding in less than a week and at our house. My husband and I have been cleaning, washing and doing so many projects this last week. With these details provided of our busy June, can you see why my theme of organization is so important. 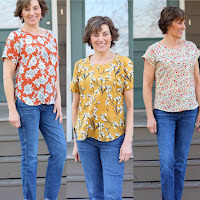 I made these two tops the end of May, knowing my scheduled IndieSew date was at the end of the June. 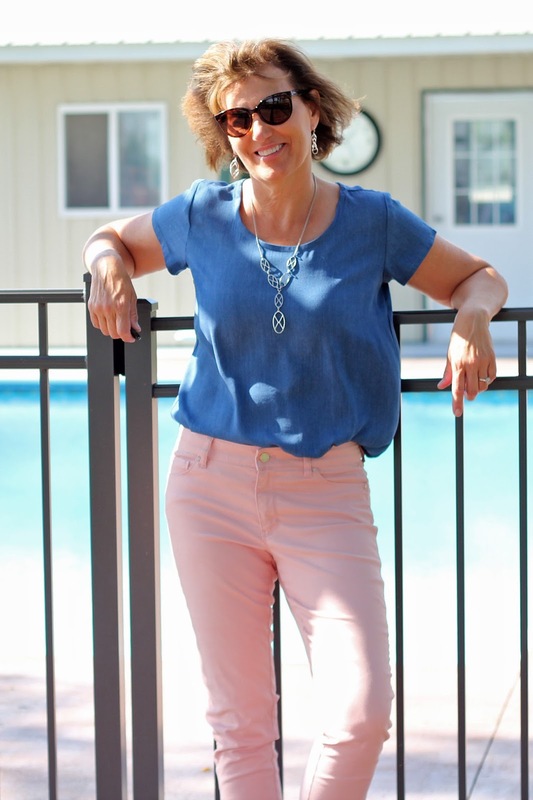 I am so happy I did this, first for the deadline and second I have been enjoying my beautiful new tops in Missouri's heat and humidity. This week, Missouri has been opposite of normal, it has been absolutely beautiful here, low temps and low humidity. 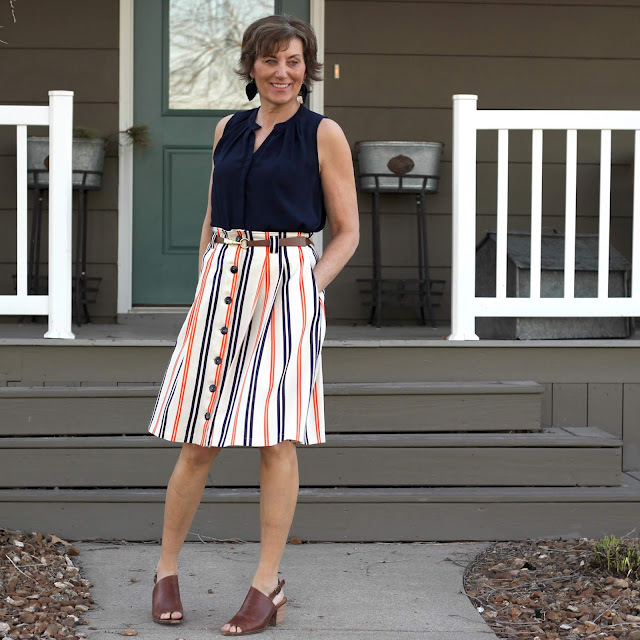 No problem, these tops are great for layering, too. 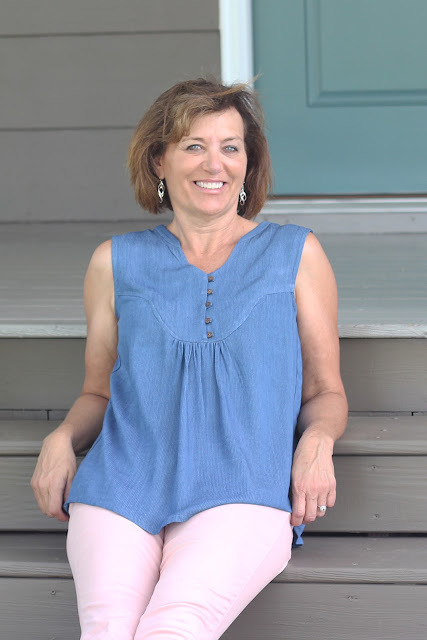 The theme has been explained, it is time to get back to these beautiful tops and we will start with the Valencia Tunic. - A woven blouse with a front and back yoke, gathered bodices and front button closure. 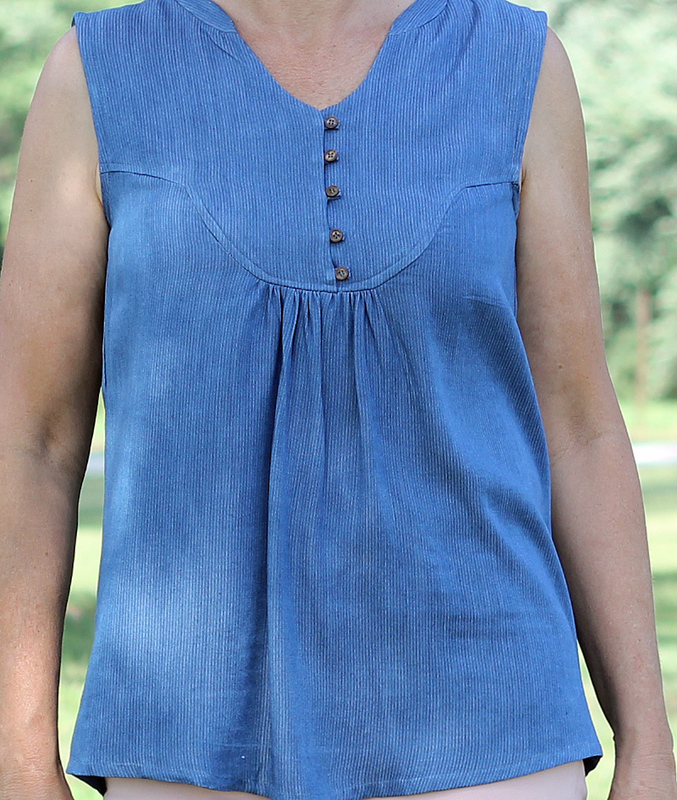 I loved the details of this top, the yoke, small collar, pleats and button loops. 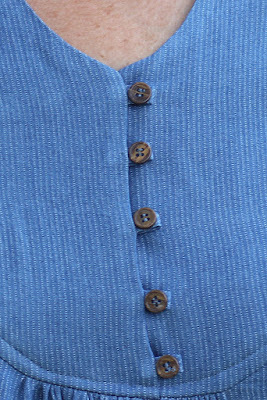 I didn't have the best size buttons for the button loops and the top slips over the head without the button opening. I just stitched the buttons through the loops. 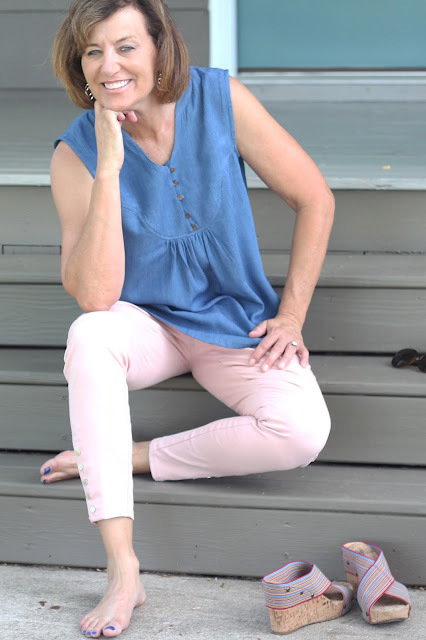 For this pattern, I really wanted a nice drapey fabric and Indiesew had the perfect fabric, Striped Rayon Denim Shirting was just what I wanted. I wanted a denim look for all my colors of jeans and shorts and the denim was a great match. Here is the description from Indiesew, A soft, drapey denim shirting with a subtle ticking stripe. 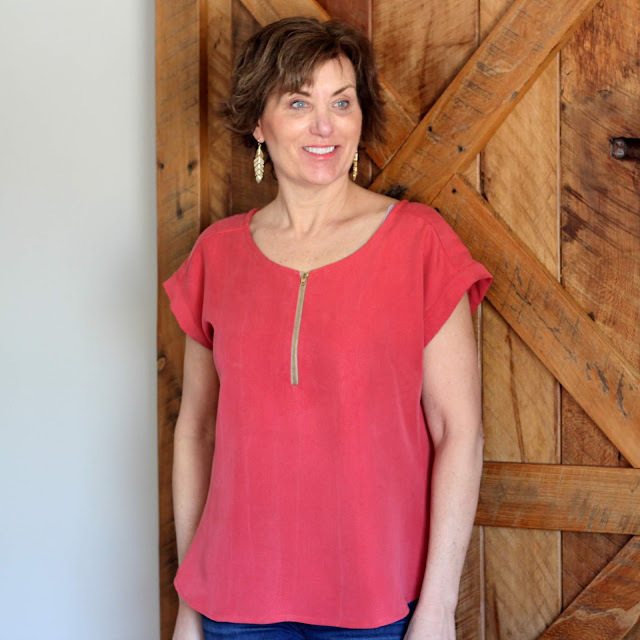 It is the perfect weight and drape for this top and I love the subtle stripe, just enough for interest. I followed the excellent instructions and just took my time with the gathers and the button loops. Take a look at my steps, porch and house...... while we were gone the painter did beautiful work. I had to sit down and take a few pictures in the new look! The house is ready now for an outdoor wedding in a few short days. I did use self-fabric for the binding for the armholes. I think this top will be great with a contrast fabric for the yoke or add piping at the yoke. While we have been gone, I have dreaming of sewing and making plans of everything I want to make. This Valencia Top kept popping in my head for several possibilities. 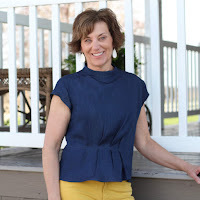 I have just a bit of Indiesew navy gingham left from this top. Now I am thinking gingham yoke and navy rayon body, what do you think? 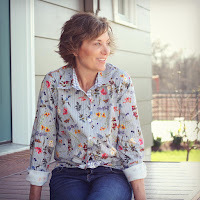 I had about 1-1/2 yards left of this rayon fabric and decided I wanted a top with sleeves. 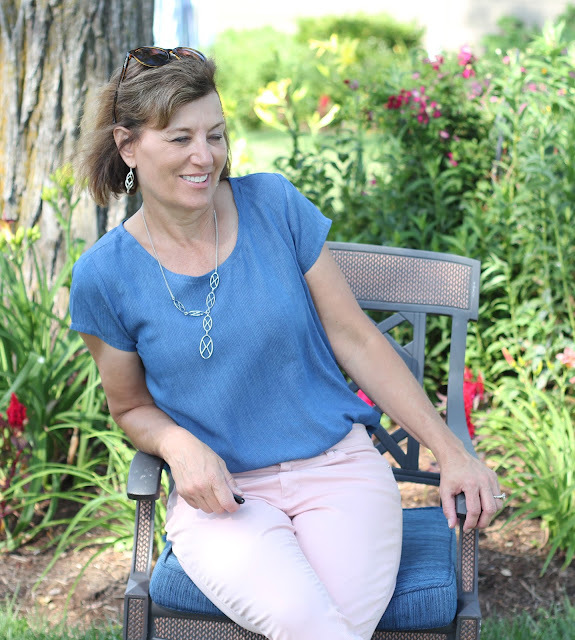 This was an easy decision for my woven fabric, the Scout Tee - A basic woven tee with short sleeves and a scoop, bias-bound neckline. I have made this top several times and love each and everyone of them. This one is no exception and I have been wearing this one so much. Can you see the wet paint tape in the background? We decided to let the paint cure for a week before we walked on the porch. The tape was a nice reminder for me and others! My dog went to my daughter's house for a week, which was great but we were happy to have him home! 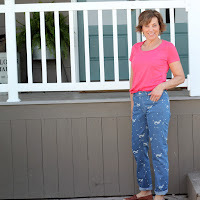 If you are looking for the perfect fabric for summer, check out this rayon denim it is perfect. If you summer is as busy, these two tops give you a choice. 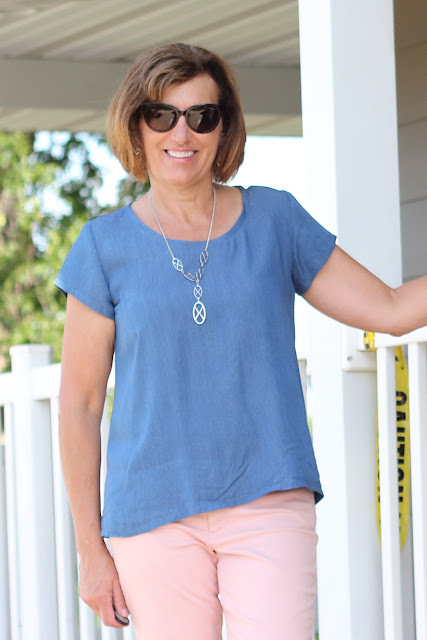 The Scout Tee is a quick sew and then the Valencia Tunic takes a bit more time but is a perfect summer top. Now I am going back to thinking and dreaming of sewing, after July 1st, my sewing time will return. 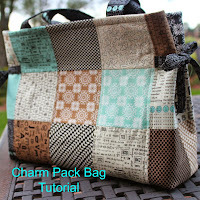 Disclosure - I am part of the IndieSew blogger team and received this pattern as being part of the team. The opinions are all mine. Wow, you do have a lot on your plate, Lori! Your new tops look perfect for summer. Good luck with hosting the wedding- I know you will make everything beautiful! These two tops are so pretty! I had sort of forgot about the Valencia tank. It's got such nice details. 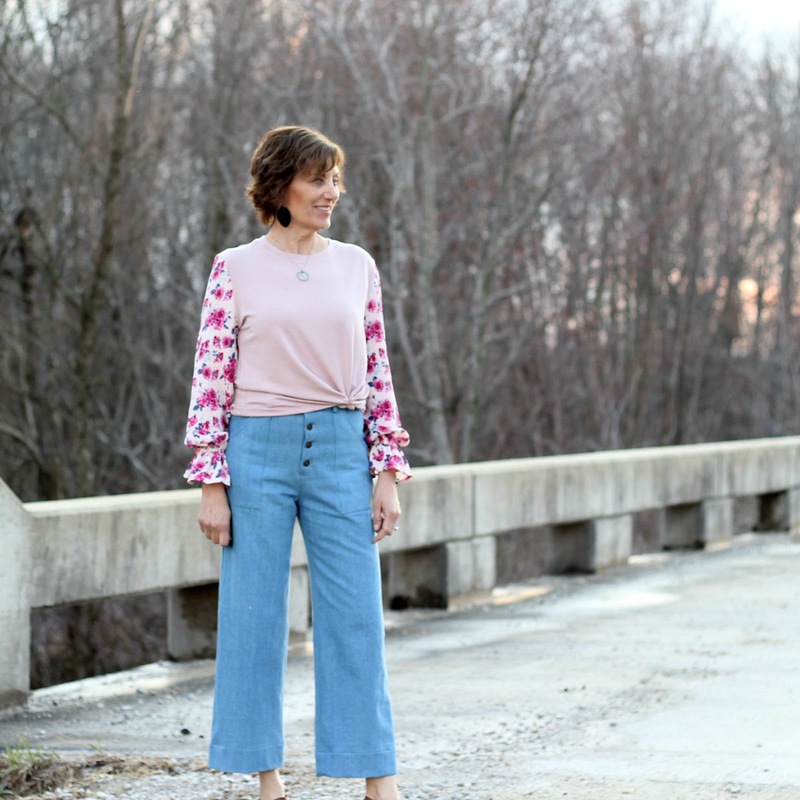 Your pink jeans are fabulous, too! Both look very cool and comfortable! Best wishes to your daughter! Your tops are perfect for summer! Just lovely! Good luck in getting ready for the big event. Both tops are really cute and the colors look great on you. Congratulations to your daughter!